In 1947 Eldon rejoined the firm. In 1955 Bernard Dahl, Howard Retz, and William Brown formed the Billings Funeral Service in Billings. In 1966 Bernard became the sole owner changing the name to Dahl Funeral Chapel. In 1977 Bernard established Dahl Funeral Chapel in Red Lodge, MT and merged Bozeman, Billings and Red Lodge operation into one. In 1978, the new chapel was built in Bozeman to include the only crematory for at least one hundred miles. In 1990 Bernard's son John Emil Dahl joined the firm and daughter Irene joined the firm in 1991. 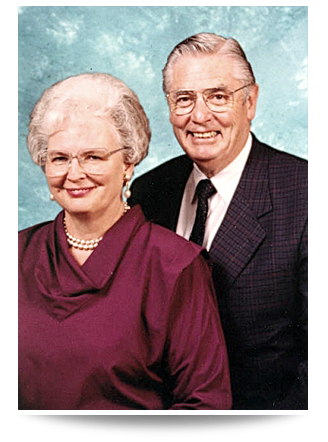 In 1998 Dahl Funeral Chapels, LLC was formed, turning the reins to John and Irene, the present generation. Dahl Funeral Chapels began in North Dakota as Emil Dahl, a Danish immigrant and new citizen of the U.S., bought a hardware store in Rhame, North Dakota. He soon discovered that he had many caskets in inventory and no funeral director in town. He went to Worsham Mortuary College in Chicago, IL to get his certification. He served his community for many years until he moved to Bozeman, Montana. He had bought the Nichols Funeral Home and, with his family of seven, settled into Bozeman life and served this community until he turned over the operation to sons. Bernard chose to build his own funeral business in Billings in 1956 with backing from Howard Retz and expanded that business to Red Lodge in 1978, building goodwill with John Betel and Aubrey Jetmore. In 1991, an addition to 10 Yellowstone was added - the business office downstairs. The lovely fireplace room has been utilized for family gatherings, grief groups, and also a Lutheran teen group. John came on board in 1990. Irene came into business in 1991 when going to college at Eastern and decided to become a funeral director in 1995. Bernard put on an addition to Red Lodge Funeral Home with son-in-law Reese Jones again doing the work. The Grief Support Program continued to grow and, with M'Lis and Bernard acting as AARP grief support coordinators for the state, a new program was developed after 9/11 and implemented in our state. Linda Smith came into employment and became the facilitator with Gwen Emmerson and continues faithfully. Our Grief Library is the best resource in the stateand many take advantage of it from the colleges, other research and Stephen Ministers. Bernard and M'Lis are teachers for the Stephen Ministry, training in Grief & Loss. They were also teachers for Hospice as well as on their board and follow up in bereavement. Bernard is our leader and main caregiver to all of us. He has taught us how to truly serve the families, even when it meant personal sacrifices to him. Bernard has also taught us how to lead by example and to take responsible for our actions and mistakes. Bernard passion has been passed on to his children and staff members who also love him as a father. It is an honor for all of us to carry his torch into the future. We the staff and family of Dahl Funeral Chapel are grateful for all the sacrifices his has made for our future success in this caregiving operation. M'Lis has also been in the family funeral business with Bernard since 1953. M'Lis has sung for thousands of funerals and is still singing. In the earlier years M'Lis delivered countless numbers of flowers to cemeteries and nursing homes. M'Lis has spent over 50 years assisting her husband and in later years son and daughter with most aspects of funeral service. But her greatest help to the family business was her care of the bereaved. When Bernard started the widow-to-widow program, she helped with the group. Training with AARP, the two eventually became the state coordinators of The Grief & Loss program. When M'Lis got her MS degree in counseling, she reorganized their wonderful Grief & Loss library which is used by the pastors, colleges, and caregivers in the area. Another asset is her paintings that decorate the many rooms of the funeral home - scenes, oil paintings, and water colors that give a western homey atmosphere and comfort to the bereaved families. Bernard & M'Lis extended their grief counseling to the community, forming grief support groups in many local churches, Hospice, and Stephen Minister's, training at the various churches on grief and loss. M'Lis taught a graduate course at MSU-Billings and Bernard taught about grief and loss at Central CHS. M'Lis is still very active in the Assoc. Christian Therapists and chairman of Pastoral Care and Word Gifts. M'Lis has been the spiritual rock behind Dahl Funeral Chapel, she has prayed our way through many challenges and changes in our family business. We all appreciate her direct line to God. She is a constant reminder of what is needed to help the families we serve. She is a perfect example to us about kindness and compassion.